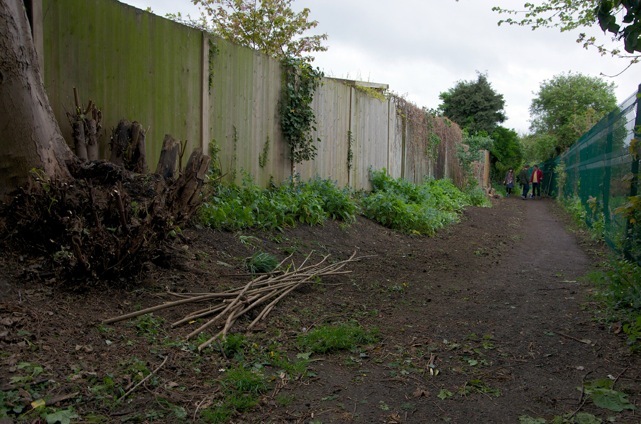 When a group of keen gardeners saw a path next to their allotments becoming overgrown, unloved and misused, they decided to do something about it. Radbourne Walk is between the Ealing Dean Allotments and the gardens of the homes nearby. Wild flowers have been growing along with walk attracting lots of different insects and birds to the area. Unfortunately, the walk was also being used by local street drinkers and rubbish was beginning to build-up. 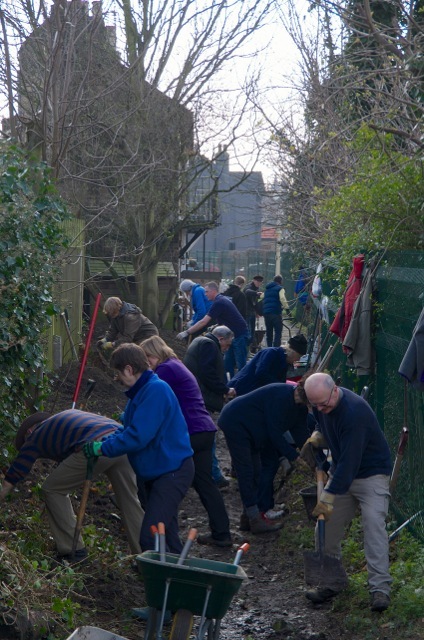 Gardeners from the allotments and people living nearby started off by getting together and having a clean-up event, removing all the rubbish and cut back the over grown bushes. They called in the council’s help to get rid of some diseased trees without destroying the wild flowers and bushes which had sprung up. But they soon realised that getting the whole pathway cleared was going to be a big task. After successfully getting £1,000 from their local ward forum, the gardeners also enlisted the help of the community payback team who put ex-offenders to work on community projects as part of their rehabilitation. 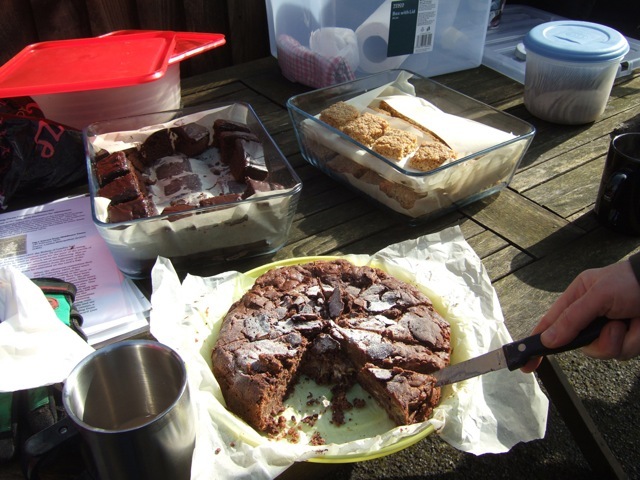 The local church offered to help by letting the payback team use their facilities to have their lunch and loo breaks. Now the group have the tools they continue to keep the area clear with weekly rotas set up for everyone to do their bit. Since the clear-out, the walk is thriving and has become really popular area with local dog walkers and people popping along to enjoy the wildlife and flowers. 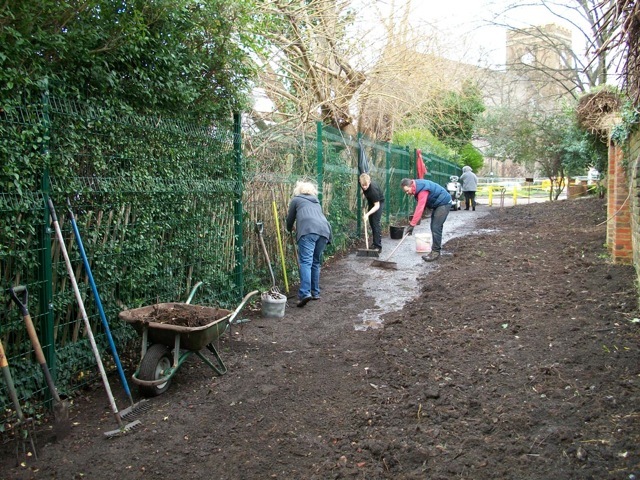 Christina Fox, of the Allotments group, said: “We have uncovered an absolute hidden gem with that path. We are so pleased with the number of trees we were able to preserve with the guidance of the council’s tree officer. That combined with the wild flowers and array of bugs and birds the path attracts, the path is a real local talking point now. “This project was a daunting task to begin with and we needed money to get us started. 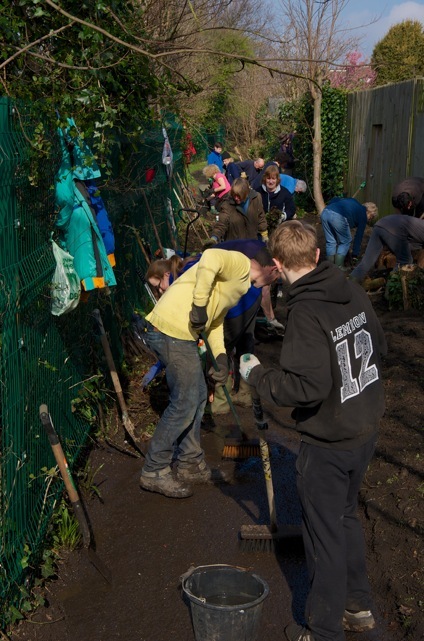 We were pleased that the ward councillors felt our project was worthy of some ward forum money, but we also applied to the London Mayor’s fund and secured another £1,500 which all went towards the costs of tools and the clean-up. People misusing alleyways for drinking, drug dealing or dumping their rubbish can make life a misery for the people who live nearby.